Sylvia Fowles tries to put up a shot against Candace Parker during the third season meeting between the two games on Sept. 6. Minnesota won the series, 2-1. Photo courtesy of WNBA. Minnesota Lynx and Los Angeles Sparks players and coaches answered questions Saturday after their final practice before WNBA Finals game 1. The game tips off at 3 p.m. Eastern time Sunday, on ABC. “More than anything it was just kind of dotting the I’s and crossing the T’s. At this point, we know what we do. We have a decent idea of what they do. We don’t know what tweaks they might make to stuff, but in the end if you kind of understand their identity, then you can anticipate whatever wrinkles they might throw at you, and it’s the same thing for them. We fully expect it’s going to be hard possessions both ways, first, second options, third options. It may not be there and your ability to keep playing through the shot clock, which we’re really good at. That will be a necessity for us to make sure that they are taking the ball out of the net. Is there anything from the final regular season game between the Sparks that will translate into the Finals? During the season series with the Sparks, the road team has been very successful. How are you all looking to protect your home court advantage? What are you looking to do defensively to stop Candace Parker and Nneka Ogwumike? How important is it for you all to have home court advantage for The Finals? How do you feel about the opportunity of becoming the first player to win five championship rings? 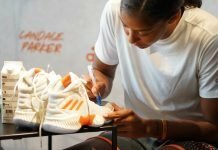 What are the keys to slowing down Candace Parker? 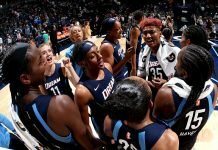 During the season series against the Sparks the road team has won every game. What does it mean to have the home crowd behind you tomorrow for Game 1? What are your expectations for this series? What are you looking to bring to tomorrow’s game? Facing the Sparks in the WNBA Finals, is this what you expected it to be? Going up against Alana Beard, what are some things your team is doing differently? How much more important is timing when Alana Beard pressures you on those passes? Are you encouraged heading into Game 1 by being able to have success on the Lynx’s home floor during the season? How has your first experience in the Finals been? Has it hit you yet? Is there anything different that you will do to prepare for the Finals, compared to the regular season? “Not to me, no. I mean without knowing who is on the Olympic team or not, they have great players regardless, and so do we. For me that has not been on my mind since the beginning of the season. It is obviously a question that people are going to ask, but it’s not what I’m focusing on. I came in to the season wanting to help my team and wanting to really kind of recreate a franchise and legacy, and that is what we have started doing. Are you encouraged heading into Game 1, knowing that your team has had success wining in Minnesota this season? How has the Finals experience been for you? Does the preparation for a Finals game change for you, compared to the regular season? How much confidence did defeating Minnesota on June 24 give you? Your defense was critical against Chicago. How do you look to continue that? How important is this team’s emphasis on defense? Transcripts provided by the WNBA.